Peel Island was not just a refuge for the Hansen’s Disease (leprosy) patients. It was also used, on one occasion at least, as a refuge from the law. About 1950, an ageing attendant (wardsman) was employed for a year at the Lazaret. He was well educated, well spoken, and of a most agreeable disposition. He even seemed to have a grasp of medical matters and would often intersperse his conversation with complicated medical terms. Rosemary Opala (nee Fielding) was a nurse at the lazaret at the time and remembers him as a very pleasant and cooperative employee. “It came as quite a shock to find out after he had left the island, that he was a con man!” remembers Rosemary. He had started out in life in England as Andrew Gibson, but as a teenager he quickly learned that people were very gullible, especially unattached young women, and from cashing dud cheques, he quickly progressed to marrying wealthy women, then running off with their inheritance. Australia proved a happy hunting ground for Andrew, but of course his strategy involved keeping one step ahead of the law and changing his name to suit the circumstances. Some of his aliases included Archibald Brown, Harry Cecil Darling, Lord Lockley, and Walter Porriott, or Gibson. It was as Doctor Darling, Gynaecologist, that he plunged into his guise as a medico, but when one of his patients died on the operating table, his scheme was uncovered and he was sent to prison for ten years. Andrew was 80 when he laid low at Peel Island but he was still a strikingly good looking man. The story of Walter/Andrew/Harry/etc/etc is a journalist’s delight and two articles have appeared about his strange life: George Blaikie’s “Our Strange Past” (Sunday Mail of May 25, 1986) and an article in “The Bulletin” in which the writer even suggested that Walter might have been Jack-The-Ripper because the murders stopped at the same time Walt left England. But that might be stretching things too far…. Walter Thomas Porriott lived in London at the time of the murders. 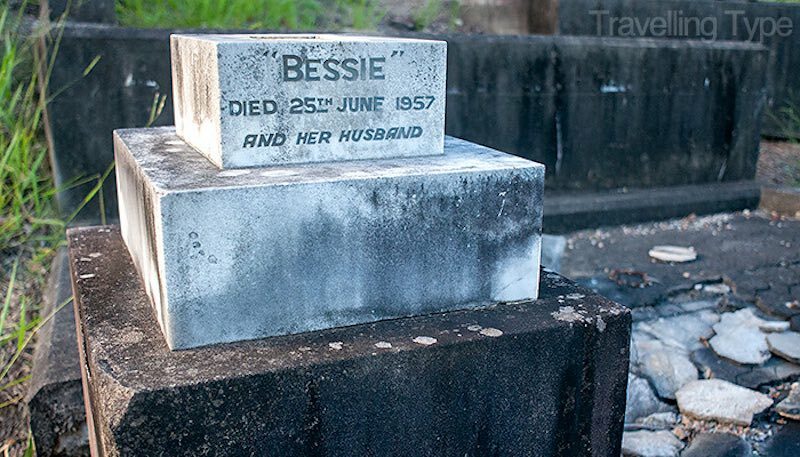 He was believed to have set sail for Brisbane on November 9, 1888, the same day the fifth prostitute was murdered. Although now desecrated, Porriott’s headstone contained a grainy image of a caped-man raising a dagger. Porriott was a known misogynist who particularly hated prostitutes. He was also a fraudster who assumed many identities, marrying at least 20 women only to fleece them of their assets. Porriott was also a convicted murderer, having spent 10 years in jail for killing a woman while posing as a gynaecologist. In 1997, Porriott’s great-grandson, Steve Wilson, publicly stated that he believed his great-grandfather was Jack The Ripper. I recommend that you also read the readers’ comments at the end. They are particularly interesting.